The Masai Mara National Reserve (also spelled Maasai Mara, and known by the locals as 'the Mara') is a large game reserve in south-western Kenya, which is effectively the northern continuation of the Serengeti National Park game reserve in Tanzania. 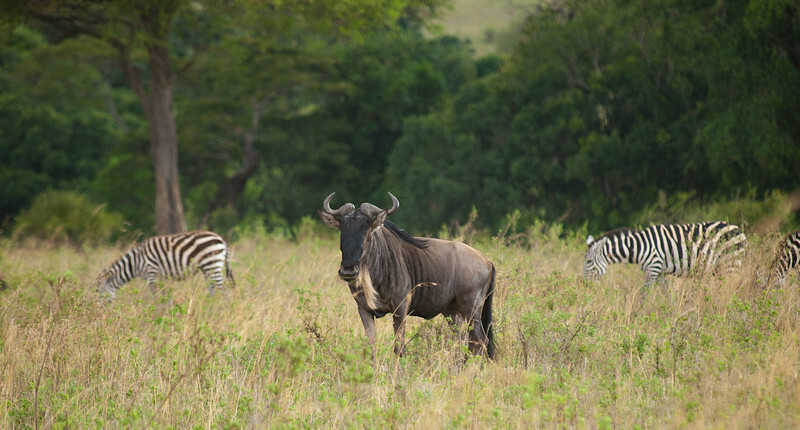 Named after the Maasai people (the traditional inhabitants of the area) and their description of the area when looked at from a viewpoint - "Mara", which is Maa (Maasai language) for spotted: an apt description for the circles of trees, scrub, savannah and cloud shadows that mark the area. It is famous for its exceptional population of Big Cats, game, and the annual migration of zebra, Thomson's gazelle and wildebeest from the Serengeti every year from July to October, a migration so immense it is called the Great Migration.